fantail flo: Office essentials- Pastilles, Toothpaste and more! Office essentials- Pastilles, Toothpaste and more! I want to talk about my office essentials- which are things that I would bring into my office for work. What's life without some essentials to keep you going throughout the day? Without further ado, here are the top three things that I always have underneath my drawers in my office. 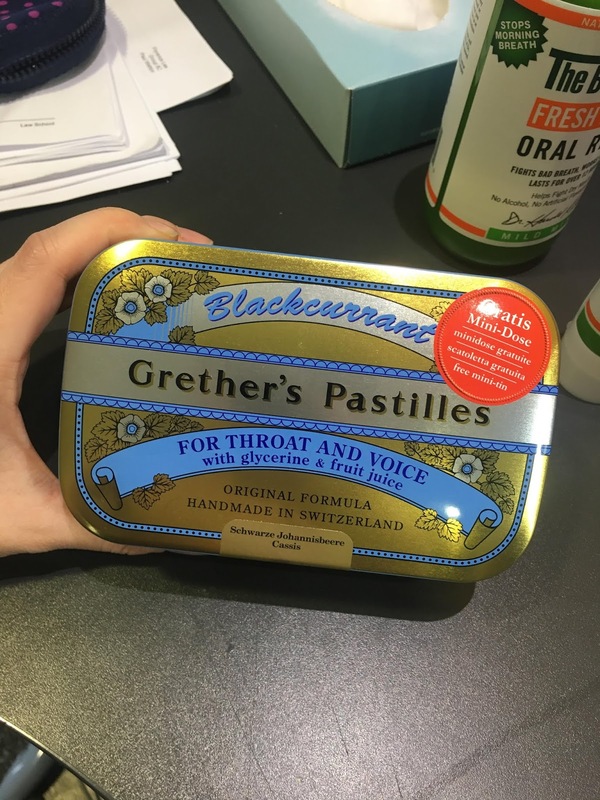 1) Grether's Pastilles- 450g box- this box is huge, and when I say that I mean it can last me months on end. They're perfect for just bringing to the office, leaving it around the kitchen or for pretty much any situation where you'd need something to warm your throat. According to Amazon, it is made based on an original recipe from the 1850’s. They are made with selected ingredients using natural ingredients, which have a soothing effect on a sore throat and a stressed voice. They help against hoarseness and provide a protective coat on vocal chords. With its unique three-months maturing process, Grether’s Pastilles develop an intensive fruit flavour. The Blackcurrant (Ribes nigrum) has been known as a medicinal plant for many centuries. Girls, did you know that blackcurrant contains a lot of vitamin C and is rich in beta-carotene? The pure and natural blackcurrant juice gives the pastilles their black colour and their distinctively fruity but mild flavour. I love the taste and will certainly buy again! 2) Breath Co Toothpaste- this is one of the best toothpaste that I've ever used as it cures my bad breath, and is perfect for girls on the go. 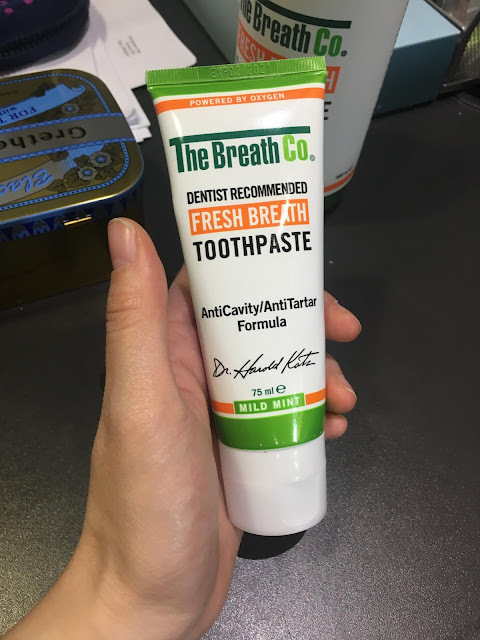 Before I go to to a client meeting, I simply brush my teeth in the office using this paste, and it gets rid of all the dirt well! It's so unique too! 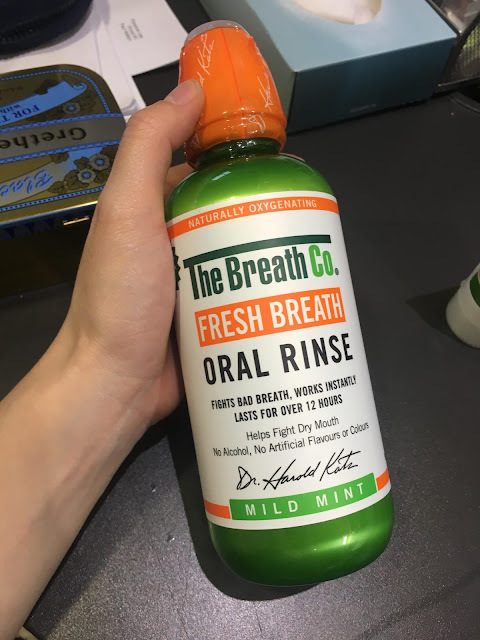 3) Breath Co Oral Rinse-the Breath Co. Fresh Breath Oral Rinse has a mild mint flavour which is perfect for my sensitive mouth. It uses the natural oxygenating power of OXYD-8 to destroy the bacteria that cause bad breath odor including Morning Breath and eliminates sour, bitter and metallic tastes in your mouth. It helps fight dry mouth and contains no alcohol, no artificial flavours or colours. I love this so much! It's the best mouthwash ever!